Continuing its commitment to acquire the top free agents in pro wrestling, Ring of Honor has signed international star PJ Black. Since making his in-ring debut at 16 in 1997, Black has earned a reputation for being one of the top high-flyers and risk-takers in the sport. After starting his career in his native South Africa and Europe, Black came to the United States in 2008 and signed with WWE, where he went on to become a three-time tag team champion and defeat some of the biggest stars in the industry. Black, a second-generation wrestler who has competed in 61 countries and 48 states, had offers from other promotions before ultimately signing with ROH. 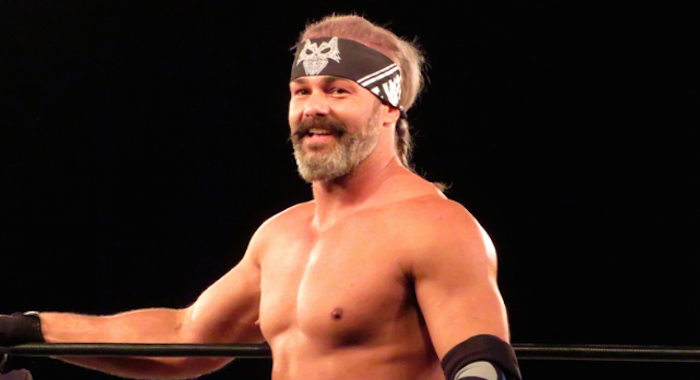 The “Darewolf” joins an impressive list of wrestlers who have signed with ROH recently, including RUSH, PCO, Brody King, Bandido and Mark Haskins, among others. Black doesn’t mince words when discussing his mission statement in ROH. Black made his ROH debut last November at Survival of the Fittest, defeating Luchasaurus in a qualifying match to advance to the six-way elimination match. He went on to have matches against Juice Robinson and Bandido in ROH, and he also faced NWA Worlds Heavyweight Champion Nick Aldis for the title at the ROH show in Atlanta last month.